A professional English-speaking guide (only for You) for the Archaeological Museum + San Carlo Theater + Plebiscito Square. 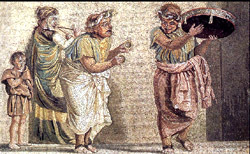 Access to 5 sites : full price Є 8,50, half price Є 4,25, valid for 3 days for 5 sites: Archaelogical Museum of Naplesi, Archaelogical Museum of Campi Flegrei (Baia), Archaelogical area of Baia, Anfiteatro Flavio and Macellum of Pozzuoli, Parco archeologico of Cuma. Free of charge: for EU citizens under 18 or over 65 years old. (*) Reductions: for EU citizens aged 18-24 and EU permanent school teachers. Reductions and free tickets can be issued only by showing a valid document (passport, identity card, driving license). Guide tour of the San Carlo Theater, Plebiscite Square, Umberto I's Arcade, Bar Gambrinus. 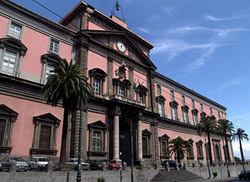 THE ENTRANCE FEES OF THE NATIONAL ARCHAEOLOGICAL MUSEUM OF NAPLES AND THE SAN CARLO THEATER ARE NOT INCLUDED. 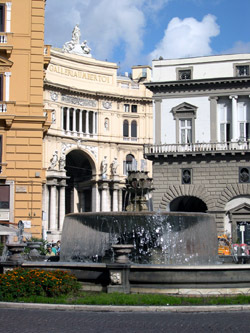 Arrange with us an half-day walking tour of Naples. Your private English-speaking guide will show You some of the most beautiful buildings, the most part of them built in the XIX century. The nineteenth century architecture of Naples is influenced by two trends: the first forty years of the century neoclassical style won out. In the second half of the century neo-Renaissance ideas were pre-eminent. 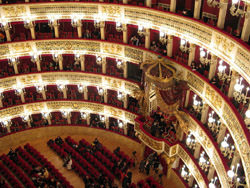 The facade of the Teatro San Carlo, built in the nineteenth century by Antonio Niccolini, is an example of neo-Renaissance. Instead, the Church of San Francesco di Paola, built in 1846, reflects the classical style of the time. Worthy of note is also the Royal Palace, built in 1600, but redecorated in the nineteenth century neoclassical style. Another characteristic of the nineteenth century is the widespread use of iron and glass: it is not an accident that the Eiffel Tower in Paris was built in 1889. 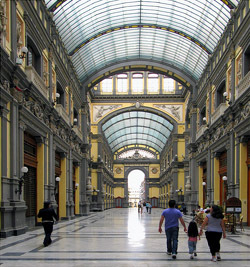 Typical examples in Naples are Umberto I's and Prince of Naples' Arcades. 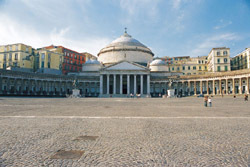 The area between Piazza Municipio and Piazza Plebiscito has been since the thirteenth century the seat of political power. There, You can see the Royal Palace of Naples, the ministries of the Bourbons and the Royal Theater. THIS TOUR TAKES PLACE ON FOOT ALL THE TIME. THIS TOUR WILL OPERATE RAIN OR SHINE, SO BE PREPARED FOR ALL WEATHER CONDITIONS.